Bullying Tip #25: Why bullies bully and why you should feel sorry for them. 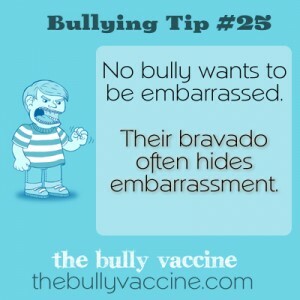 No bully wants to be embarrassed. Their bravado often hides embarrassment. Bullies are often very insecure. Help them to save face and you may just help them stop bullying.